“At 96 cubic inches, the streamlined, water-resistant Rider DLX has enough space for a spare tube, CO2 inflator, mid-ride snack, and a multi-tool—and the zippered front panel opens wide for very easy access. A side pocket fits a credit card and cash—handy if your ride includes a stop for refreshments. Read the Axiom Rider DLX review in bicycling.com. 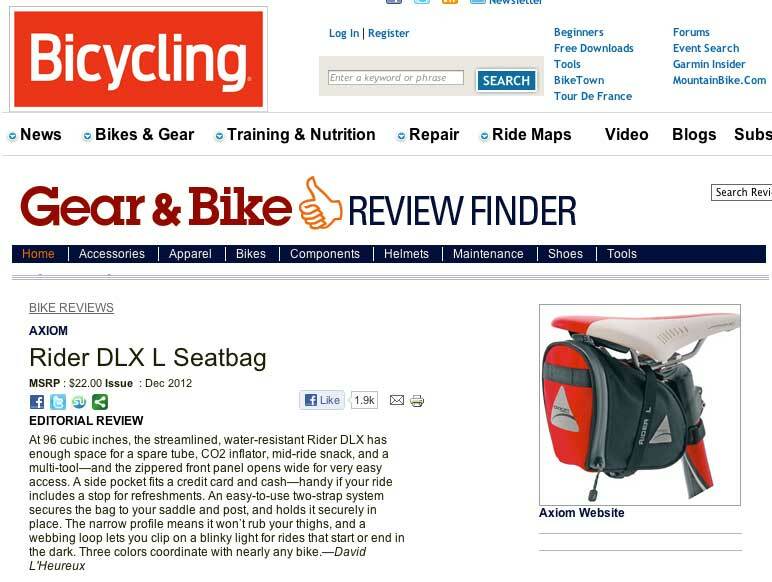 Browse Axiom Rider DLX seat bags for bicycles and other Axiom cycling gear.